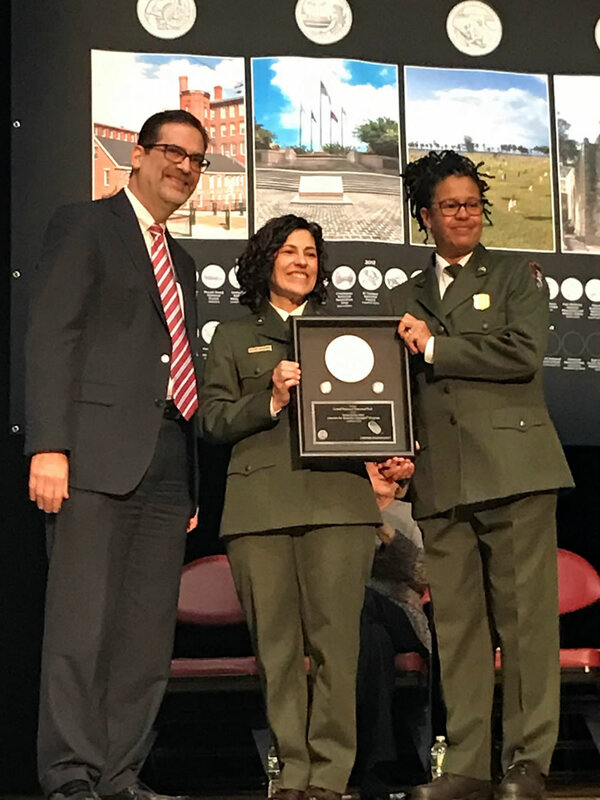 Lowell National Historical Park Superintendent, Celeste Bernardo, Former U.S. Congresswoman Niki Tsongas, Acting Associate Director of the Numismatic and Bullion Directorate, Marc Landry, and National Park Service Deputy Regional Director Rose Fennell, participate in the ceremonial coin pour during the launch of the Lowell National Historical Park quarter in Lowell, Mass., February 6, 2019. The coin is the 46th release in the United States Mint America the Beautiful Quarters® Program. U.S. Mint photo by Jill Westeyn. A crowd of more than 2,600 people, including about 1,700 schoolchildren, attended the launch ceremony hosted by officials from the National Park Service and United States Mint. 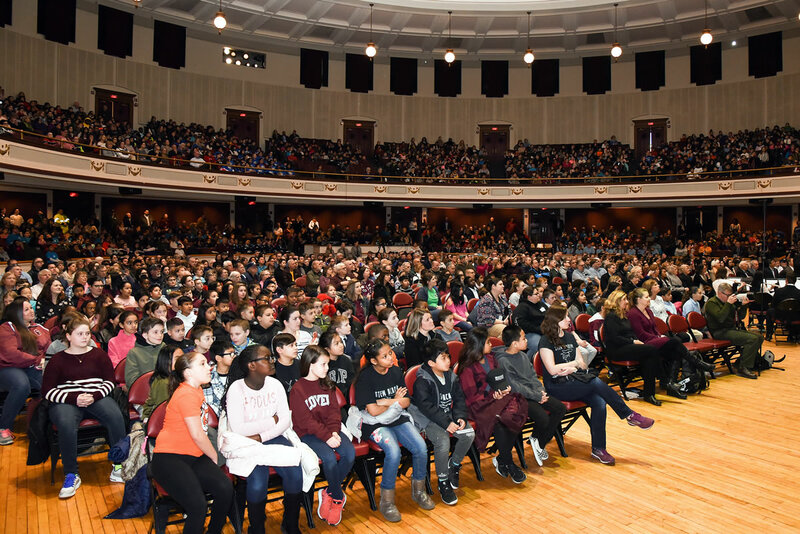 Kids aged 18 and under received a free Lowell quarter to commemorate the event. A crowd of over 2,600 people attended the ceremonial launch of the Lowell National Historical Park quarter. U.S. Mint photo by Jill Westeyn. 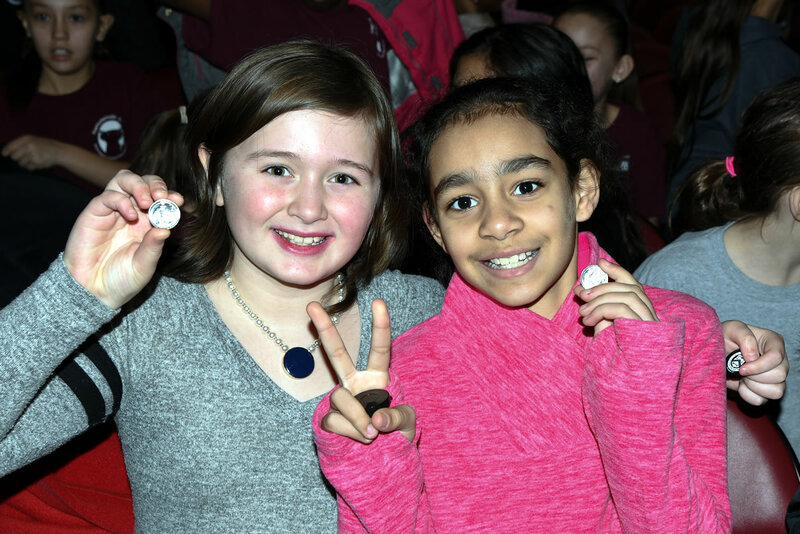 Two fourth-grade students proudly hold their new Lowell quarters after the launch ceremony. U.S. Mint photo by Jill Westeyn. Depicted on the quarter’s reverse (tails side) is a scene emblematic of the historical park — a mill girl working at a power loom with its prominent circular bobbin battery and a view through the window of Lowell’s Boott Mill clock tower. "The depiction of the mill girl takes us back to the past at the forefront of America’s Industrial Revolution," remarked Marc Landry, the Mint’s Acting Associate Director for the Numismatic and Bullion Directorate. 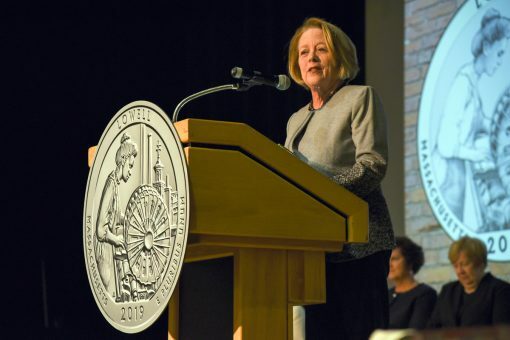 "The physical coin takes us to present day manufacturing processes; and finally, the coin in its entirety takes us into the future — inspiring tomorrow’s innovators, workforce, and generations to follow." Landy shared the stage with former Congresswoman Niki Tsongas, Chancellor of University of Massachusetts Lowell Jacqueline Moloney, Executive Director Yun-Ju Choi of Coalition for a Better Acre, Chief Executive Officer Karen Frederick of Community Teamwork, Inc., Lowell City Manager Eileen Donoghue, National Park Service Regional Deputy Director Rose Fennell, and park superintendent Celeste Bernardo. 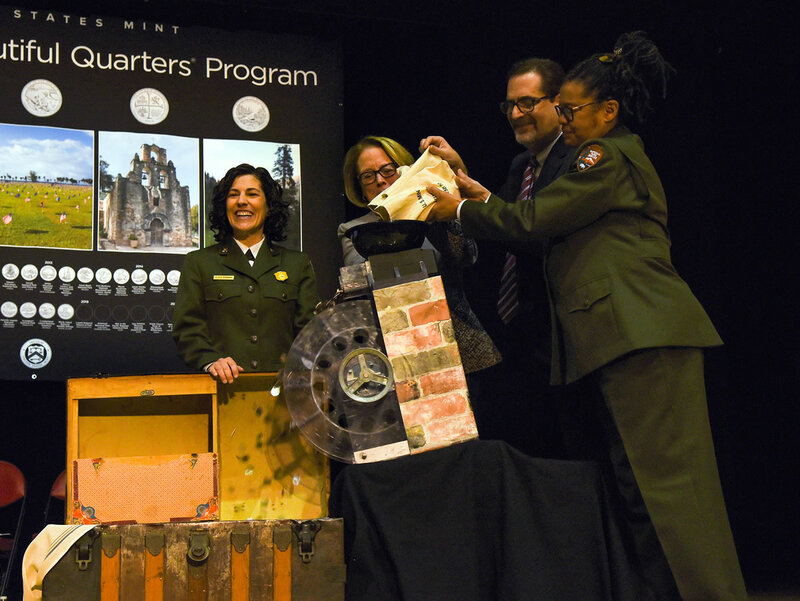 Landry, Acting Associate Director of the Numismatic and Bullion Directorate, United States Mint, presents Lowell National Historical Park quarters struck on the first day of production to National Park Service Deputy Regional Director Rose Fennell and Lowell National Historical Park Superintendent Celeste Bernardo. U.S. Mint photo by Sharon McPike. 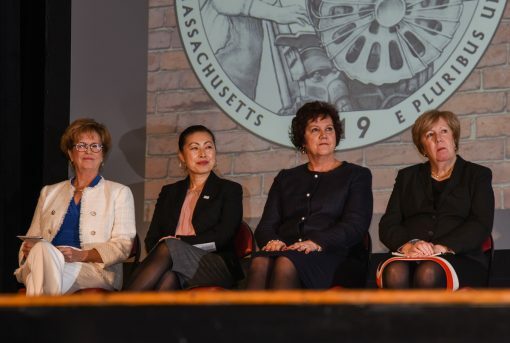 Jacqueline Moloney, Chancellor of University of Massachusetts Lowell, Yun-Ju Choi, Executive Director of Coalition for a Better Acre, Karen Frederick, Chief Executive Officer, Community Teamwork, Inc., and Eileen Donoghue, Lowell City Manager, serve as emcees during the ceremonial launch of the Lowell National Historical Park quarter in Lowell, Mass. The coin is the 46th release in the United States Mint America the Beautiful Quarters® Program. U.S. Mint photo by Jill Westeyn. Former Congresswoman Niki Tsongas presents remarks during the quarter ceremony. U.S. Mint photo by Jill Westeyn. 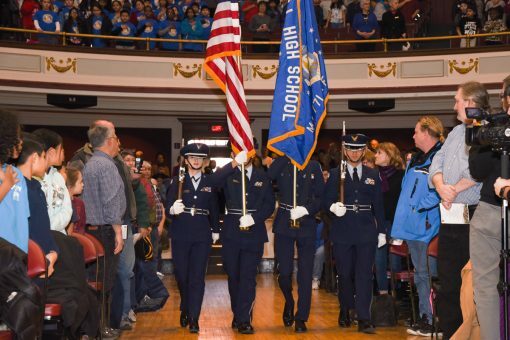 The Lowell High School Band, the Lowell High School Chorus, students from Lowell High, and the Lowell High School JROTC Honor Guard also participated in the event. 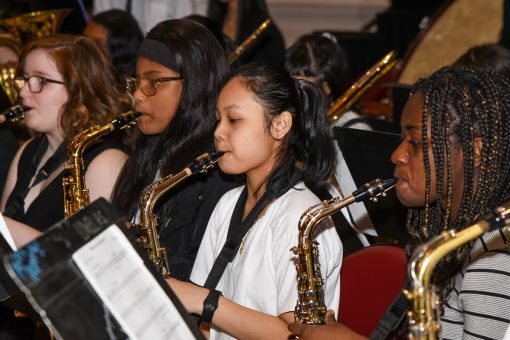 The Lowell High School Band entertains the audience before the ceremony. U.S. Mint photo by Jill Westeyn. 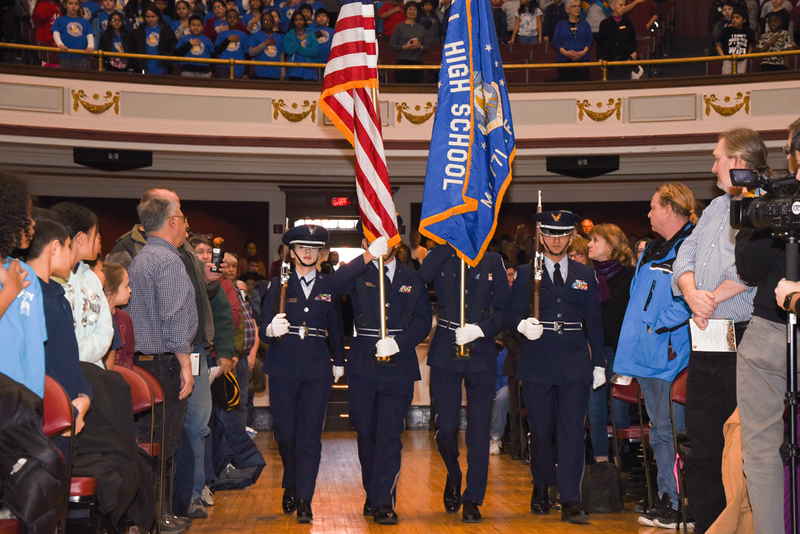 The Lowell High School JROTC Honor Guard present the colors during the Lowell National Historical Park quarter launch. U.S. Mint photo by Jill Westeyn. 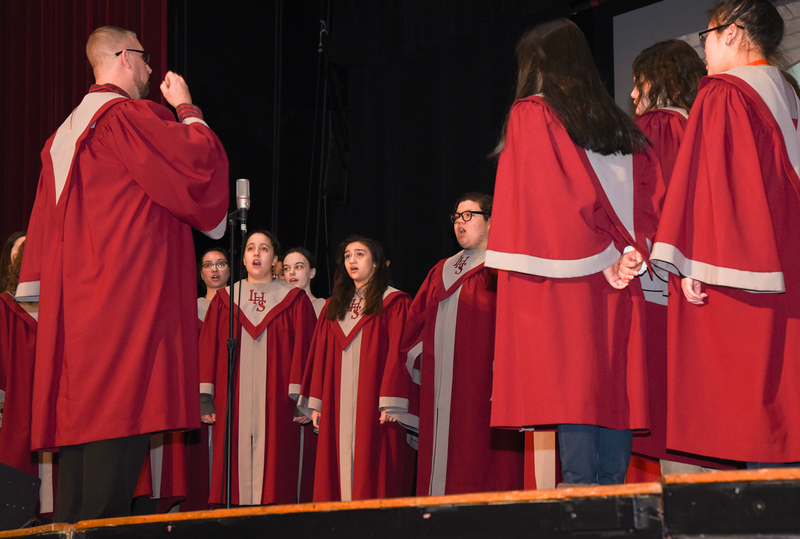 The Lowell High School Chorus sings the National Anthem during the Lowell National Historical Park quarter launch. U.S. Mint photo by Jill Westeyn. Eunice Tabea, Lowell High Senior Class President, leads the Pledge of Allegiance during the quarter ceremony. U.S. Mint photo by Jill Westeyn. 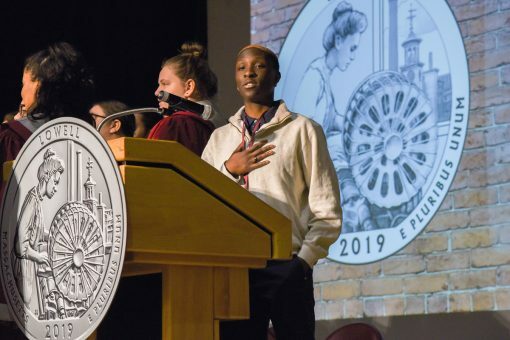 Many of those who attended the launch ceremony took part in the traditional coin exchange with about $24,000 in D-mint mark Lowell quarters swapped for cash. 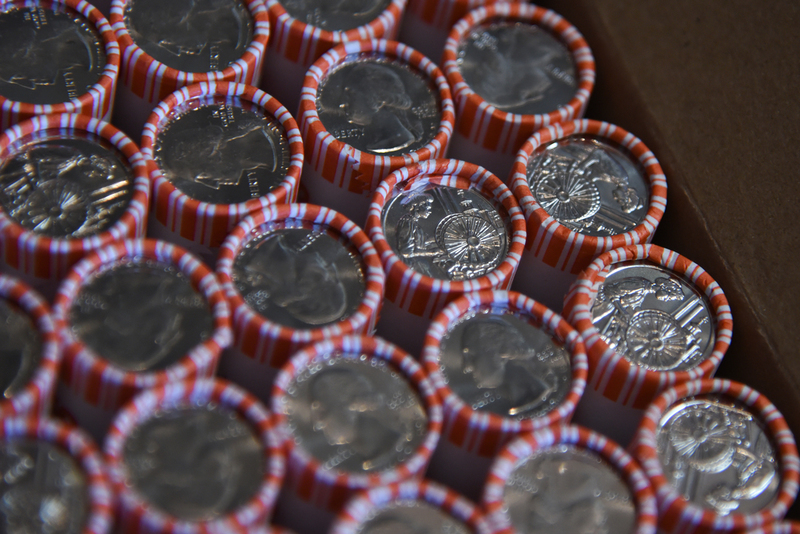 Rolls of Lowell National Historical Park quarters are exchanged following the launch ceremony in Lowell, Mass. U.S. Mint photo by Jill Westeyn. 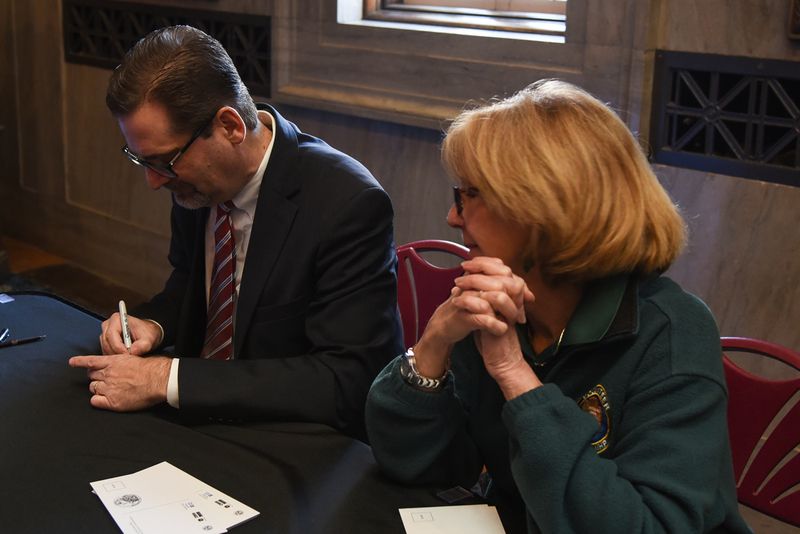 Marc Landry, Acting Associate Director of the Numismatic and Bullion Directorate, United States Mint, signs rolls of new Lowell National Historical Park quarters. U.S. Mint photo by Jill Westeyn. 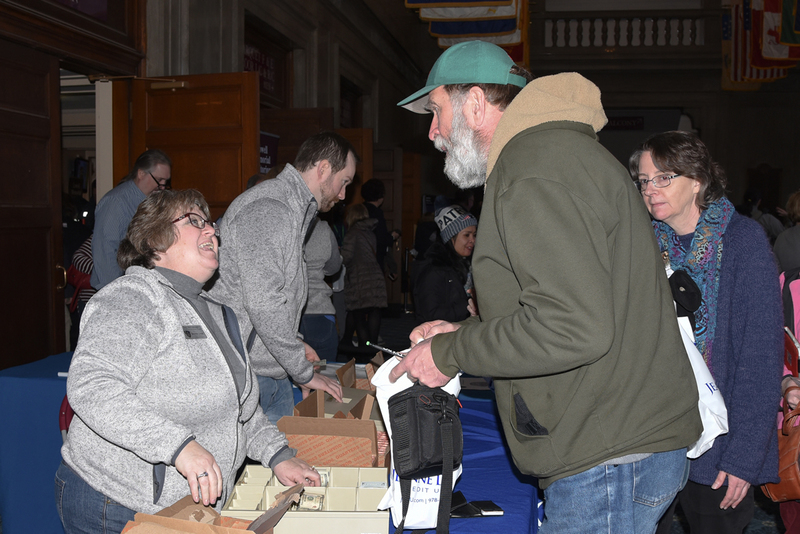 Another highlight for 103 collectors and local enthusiasts was a coin forum held on the evening before the launch ceremony where attendees listened to and asked questions of U.S. Mint officials. Rolls of Lowell National Historical Park quarters. U.S. Mint photo by Jill Westeyn. Lowell quarters started entering circulation on Monday, Feb. 4. The U.S. Mint on the same day released them in rolls and bags for collectors. Available products include quarters produced at the Philadelphia, Denver and San Francisco Mints at prices ranging from $18.95 to $46.95. The U.S. Mint’s America the Beautiful Quarters® Program debuted in 2010 and will honor 56 national parks and other sites through 2021. The Lowell National Historical Park quarter is the 46th released and the first of the five unique 25-cent designs for 2019. You’re right, that milling device does look like a bingo ball mixer! LOL!